The title of your book is The Orphan, the Soulcatcher and the Black Blizzard. Can you tell us a little bit about the story? Certainly. 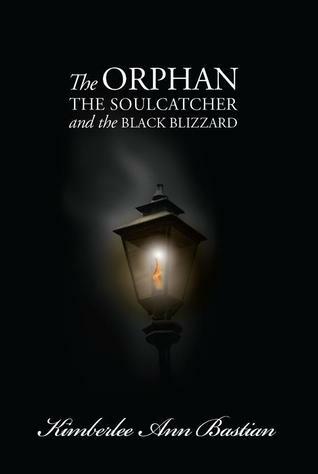 "The Orphan, the Soulcatcher and the Black Blizzard" takes place during the Depression Era in 1934 Chicago. It follows the adventures of Charlie, the orphan, and Bartholomew, the soulcatcher. Think of Charles Dickens' Oliver Twist, but less British and if Oliver were a mythological creature. As the story unfolds, Charlie and Bartholomew tangle with two rivaling street gangs, a talking cat, a greedy grocer, a mysterious showman, and a rowdy bunch of poker players. Come the stories end, Charlie must decide if he wants to ditch Bartholomew and flee Chicago or fall further down the rabbit hole and follow a destiny full of supernatural wonder. What inspired you to write a book like this? Well, it’s quite the story itself. During my sophomore year of college, I wrote an informative speech on the History of Halloween. From it I learned how we began the practice of carving Jack O'Lanterns. 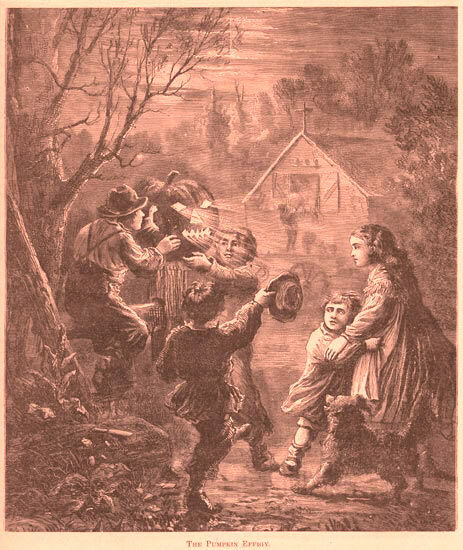 According, to the Irish myth, a man by the name of Stingy Jack tricked the Devil. Each time Stingy Jack forced the Devil to make a deal with him that if he should die, the Devil not take his soul. When Stingy Jack died, God would not let such an unsavory character into heaven and true to his word, the Devil did not claim Stingy Jack's soul. Instead, the Devil carved out a turnip and put a lump of coal in it to help Stingy Jack light his way through the black. In order to ward off Stingy Jack and other evils, people would carve faces into turnips or potatoes and set them in their windows. When the practice was brought to the States, pumpkins were used. I always thought it interesting why Stingy Jack's story had never really been elaborated upon. So, I thought, why not give him a story. Granted, Stingy Jack does not appear in this book, but he is definitely element one for the series. Also, I have a passion for American History so I tackled most of the setting by researching every book and internet source I could. I wanted Chicago to be as authentic as possible, but even more so, I wanted to do something different than the norm. Do you think you’ll ever write a sequel? Yes! The second one is waiting on my editor to become free and the third is drafted. I'm actually planning on a 9-part series, called The Element Odysseys. Apparently, I have to out do Harry Potter, haha. Okay. Here’s a question concerning your reading habits. 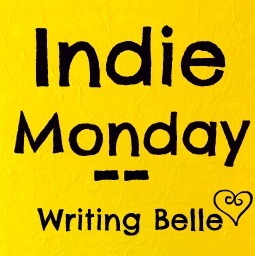 What kind of books do you read that get you excited about the genre you write? Who are some of your favorite authors? Well, I consider myself a late bloomer to the world of books. In my K-12 years, books and I were not friends. Sure, I read the LOTR Trilogy + The Hobbit & the Harry Potter Series, but for the most part I hardly ever read. I was too much of a TV nut. College didn't leave much room for leisure reading, so I didn't jump on the bandwagon then either. It's only when I started writing again, that I started making time to read more, which is right when the Twilight Series changed the game. I am all about YA right now, since it is the genre I find myself in. However, I did branch out to Deborah Harkness' A Discovery of Witches which is brilliant. I even got to meet her! As for my favorite authors, I jump around so much I don't religiously follow anyone's work. Some of my recent reads: Amanda Hocking's Switched (working on getting the sequels), Suzanne Collins' The Hunger Games Trilogy, Alexandra Monir's Timeless, and Sherrilyn Kenyon's Chronicles of Nick (just bought the third installment). My greatest inspirations have been Charles Dickens, Homer, and Stephan King (he was my first). When I write, I like to do so in a certain spot, like my desk or near the window (and in convenient reach of the candy jar). Do you have a favorite “writing spot?” I actually move a lot around the house. Some times I set up my station in my room on top of an old sewing machine, some times in the sun room, on rare occasions I'll even open the front door and sit in the doorway. I can't go outside cause I can't see my computer screen. I always have a water bottle handy. I love water, haha. Also, I wear a set of pink camouflage cat ears--they help prevent my thoughts from escaping my brain. I wore them a lot when I studied during college and always seemed to do my best work with them on, so I figured I should continue the practice. Last but not least: do you listen to music while you write, or do you prefer silence? Both. Some days I can't use a distraction, other times music helps me focus better. If I listen to music it is more often than not movie themes. Songs with words are like daggers to my brain, though there are a few exceptions. For instance, I listened to David Cook's Permanent for days when I was working on Book 3. A few of the themes on my playlist are "Dune Messiah" from Children of Dune, "Ice Dance" from Edward Scissorhands, "Rita Sue and Jonsey" from HBO's Carnivale, "The Meadow" from New Moon. You can find more on the blog: The Element Odysseys! To pick up The Orphan, the Soulcatcher and the Black Blizzard, visit here. To connect with Kimberlee on the blogosphere, visit here.